Franco Cassetta's Azienda Olivicola badevisco founded in 2000 and its situated at the foot of the volcano of Roccamonfina,in the middle of the reen hills Aurunche,the farm also includes an area equipped as didactic farm.The olive grove covers 30 hectares with 8000 trees,which produced 2000 quintals of olives in the last harvest. The farm selection,the extra virgin badevisco from organic farming,is excellent.It is a beautiful intense limpid golden yellow colour with light green hues.its aromais complex and rotund,with ample fruity notes of medium ripe tomato,enriched by hints of officinal herbs,especially field balm,basil and celery.its taste is fine and strong,with an elegant flavour of lettuce.Bitterness and pungency are distinct and harmonic.It would be ideal on bean starters, boiled pulses, first courses with mussels,baked or white meat ,pasta filata fresh cheese. It is a beautiful intense limpid golden yellow colour with light green hues.its aromais complex and rotund,with ample fruity notes of medium ripe tomato,enriched by hints of officinal herbs,especially field balm,basil and celery.its taste is fine and strong,with an elegant flavour of lettuce.Bitterness and pungency are distinct and harmonic. 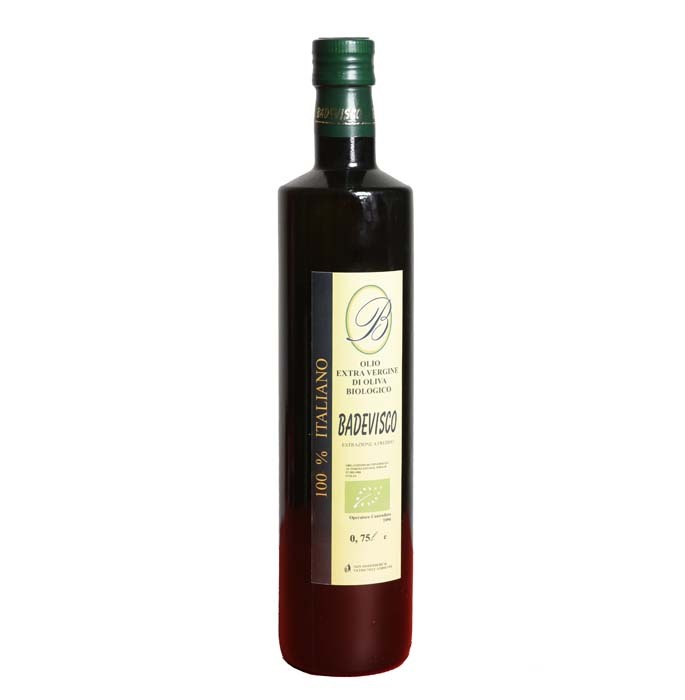 It would be ideal on bean starters ,boiled pulses,first courses with mussels, baked or white meat ,pasta filata fresh cheese. It is a beautiful intense limpid golden yellow colour with light green hues.its aromais complex and rotund,with ample fruity notes of medium ripe tomato,enriched by hints of officinal herbs,especially field balm,basil and celery.its taste is fine and strong,with an elegant flavour of lettuce.Bitterness and pungency are distinct and harmonic.It would be ideal on bean starters ,boiled pulses,first courses with mussels,baked or white meat ,pasta filata fresh cheese.